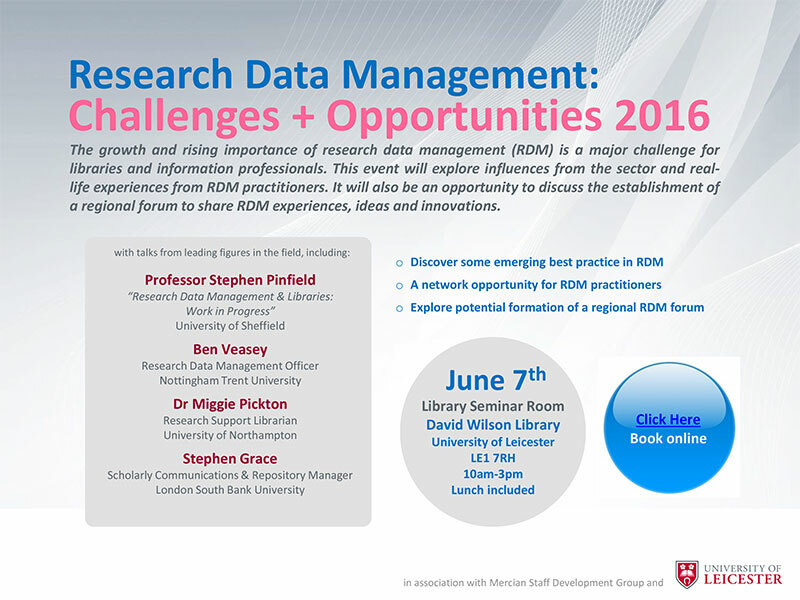 The growth and rising important of research data management (RDM) is a major challenge for libraries and information professionals. This event will explore influences from the sector and real-life experiences from RDM practictioners. It will also be an opportunity to discuss the establishment of a regional forum to sahre RDM experiences, ideas and innovations.